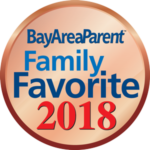 At Bay Area Sitters, we understand that every family is unique, which is why we have created three packages that tailor to your family’s needs. For Full-Time Nanny placements, please see the options below and we will be happy to discuss which package would best suit your family’s requirements. All fees are due on the Nanny’s first day and are non-refundable. Registration fee of $250 is required to begin the candidate search. Client agrees that the above selected Nanny Referral fee is to be paid to the Agency on or before the first day the Nanny reports for work to the Client. No placement is final until all fees have been paid to the Agency. Please contact us for a full list of our terms and conditions, for permanent Nanny placements. *Replacement policy will be provided as pro-rated credit for use towards a new candidate search. Temporary Nanny: $125 non-refundable fee (valid for one year) and 25% of on-going gross compensation ($30/day minimum). Please note that given the nature of temporary, daily and on-call nanny services, Bay Area Sitters cannot guarantee a placement or a repeat placement of a previous nanny. Bay Area Sitters is proud to give back to our amazing community. Proceeds from every full-time nanny placement are donated to Hands On Bay Area, a non-profit organization dedicated to creating opportunities for volunteers to give back to the San Francisco Bay Area. We thank you for your support!